You don’t need to convince Jairo Zamora that climate change is real. No one needs to inform him of the latest research. No one needs to tell him that it's coming, or that he should prepare because for Jairo Zamora climate change has already arrived. The community of La Fundadora is a small cooperative of coffee farms in Matagalpa, Nicaragua, in the remote mountainous center of the country. It lies an hour and a half from the closest town and is accessible only by 4-wheel drive. Jairo's family has been growing coffee here for three generations. He can tell you the impacts that he's observed on his 25-acre finca over the past six growing seasons, and the steps he's already taking to adjust and adapt. When Jairo inherited his farm, he transformed and and altered their practices to adapt to the changing climate. Jairo isn't alone in finding he needs to adapt. In agricultural communities like La Fundadora, many small farmers are at risk as rising temperatures are making it impossible to grow coffee at lower altitudes. This is bad news for people who rely on coffee in countries like Nicaragua, Honduras, and Venezuela, where mountain ranges will no longer be high enough to support the crop as the climate warms. Some farmers in the lower foothills of Nicaragua are already finding coffee is no longer growing. Jairo is relatively lucky, his farm is high enough in the mountains that he can still harvest coffee. Coffee cherries appear green when unripe and immature. When la roya strikes a plant, the leaves will turn a orange, brown, rusty color and signifies no cherries can be picked from that plant. While altitude might not be a problem for him now, there are other challenges Jairo faces due to climate change. In Nicaragua, the growing seasons are getting warmer, increasing the prevalence of la roya, a fungus that attacks the leaves of a coffee tree. If not treated, la roya will kill the tree. Outbreaks of la roya used to be rare, only happening during exceptionally warm years. Now, Jairo is treating his coffee trees for la roya every year. Around him, his neighbors are losing up to 40 percent of their harvest. Despite the challenges, Jairo is hopeful. He readily adapts his farming methods so the finca remains productive, supporting his family and workers. Many nearby farmers are struggling, however. For farmers working smaller plots, a few consecutive bad years can be financially catastrophic. Credit is difficult to obtain and very risky –interest rates climb upwards of 20%– and many small farmers have been forced to sell their finca to larger land-holders. Jairo diversifies beyond coffee with crops like cabbage and carrots. Around him, many farmers are struggling to adapt to the changing climate, and often end up harming both the local environment and their own farms as they try to stay afloat. Many simply intensify their current efforts, clearing forests to expand their farms and increasing the amount of agrochemicals they use. While these responses may boost production in the short term, they weaken the natural resilience of the land, and over the long-term are likely to compound the challenges of climate change. 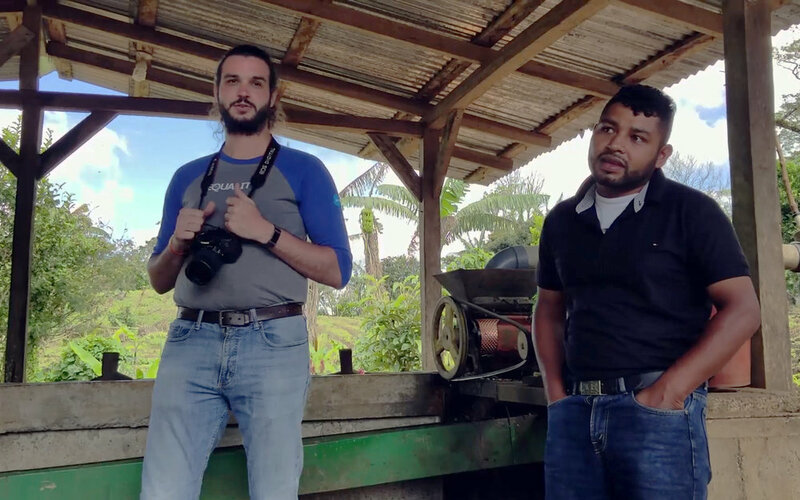 With Alianza amigo Simon Ruiz translating, Jairo shares with visitors the challenges of combating la roya, adjusting for increased rainfall, and staying afloat in a volatile coffee market. Within the last couple years, coffee prices dropped more than 50%. 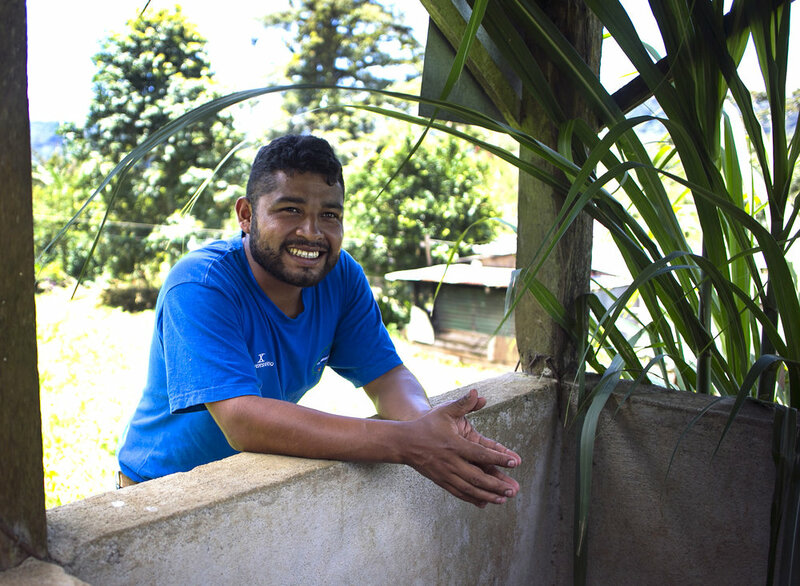 Jairo believes the difference for him is education. In an area with limited access to primary school, where most children are working by the time they reach sixth grade, Jairo's family prioritizes education. He graduated high school and went on to study agronomy at the National University, before returning home to La Fundadora to run his finca. Jairo believes his resourcefulness in addressing the challenges brought on by climate change is rooted in his education. While education helps individual farmers like Jairo, it benefits the entire community if everyone has the same ability to go to school. No matter how effective Jairo is as a steward of his own land, his efforts at preservation will be limited if those around him continue to strip biodiversity and overtax soil and water resources. Improving access to education matters for more than just those who run their own farms. Adaptation and diversification require the support of the entire community, including the workers whose livelihood comes from picking coffee. Learning skills like literacy and numeracy is virtually impossible for the children of many farm-worker families that do not have consistent access to schools. Yet, to prepare for a time when coffee might not be grown in the area anymore, these skills are crucial. 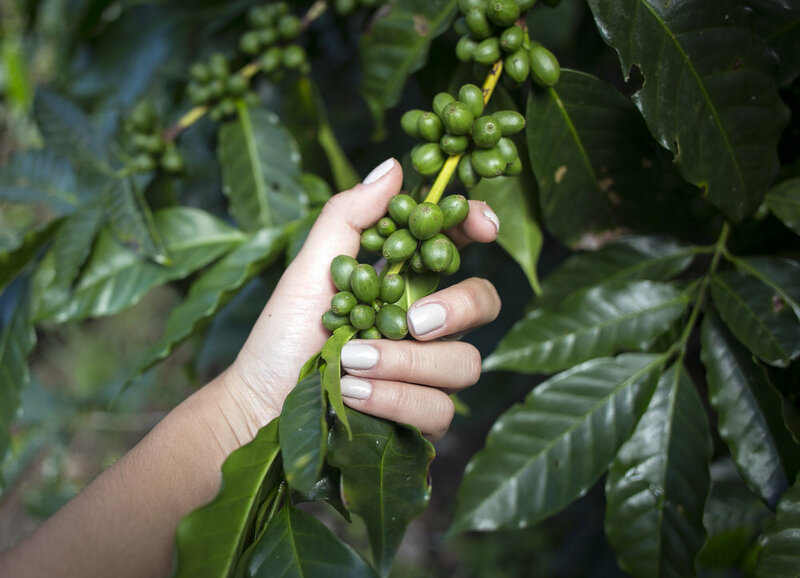 People at all levels of society need to be able to build a life beyond picking coffee. Climate change is an unprecedented global challenge. 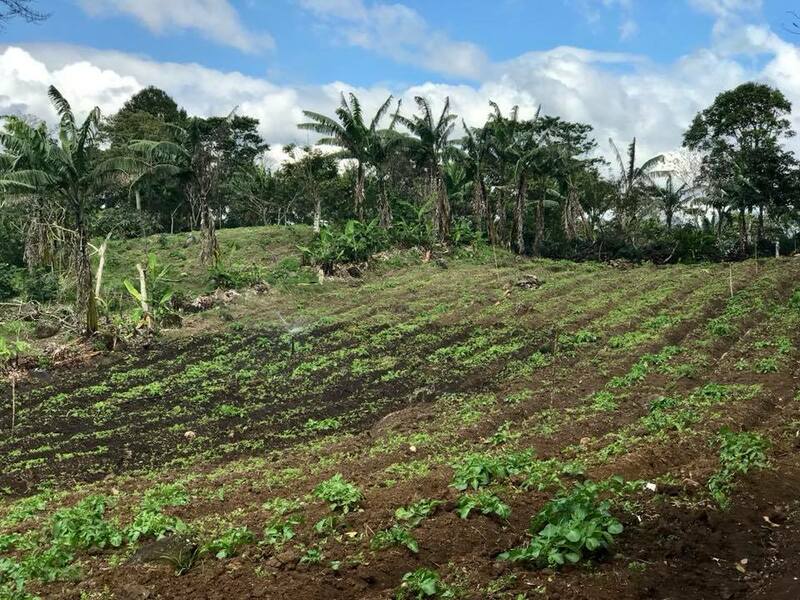 For agricultural communities in the developing world, many will have no choice but to adapt and diversify, as their traditional methods of cash-crop farming will become obsolete. For these communities to survive, everyone will need to be able to go to school and learn the skills required to thrive in a changing world. Jairo wants his daughter to receive the same educational opportunities he had. This year, Jairo’s daughter started preschool. Like his parents before him, Jairo is prioritizing education. Although he loves the idea of handing down the family farm to his daughter, he acknowledges how difficult coffee is and wants her to have opportunities beyond coffee. Jairo sees the future that could be hers and knows that education can take her there.